Roy Bird Plumbing trading as Plumber on Call deliver a genuine 24 hour 7 day a week service. No matter whether you have no hot water or your hot water system is leaking, Roy Bird Plumbing have the right solution for your hot water plumbing. Hot water plumbing Marion carry an extensive supply of hot water replacement parts, and as such we are able to fix electric, gas and solar hot water units that may not be working, carrying most makes and models of spare parts in our van. Should it eventuate that your hot water unit requires replacement, Roy is often able to proceed with replacement that very same day, often on weekends and after hours, as we know how important it is for you to have a hot water. Due to the advances in technology and efficiencies of new hot water heaters and brands that are continuing to come onto the market, our hot water plumbing marion experts are able to provide you with quality advice as to which replacement unit would be best suited to your family’s needs now and in the future – no hot water plumber can simply beat our hot water plumbing marion experience. When seeking a replacement unit, it is not uncommon to discover that your existing system has now become inefficient in its operation costs, and may not be proving enough hot water for a large family or even for just one person that may be living in the home. Many existing hot water units may only have a three star energy rating, whereas newer units such s continuous flow models can have a rating as high as six stars and due their continuous flow nature, can deliver hot water to even the largest of families. 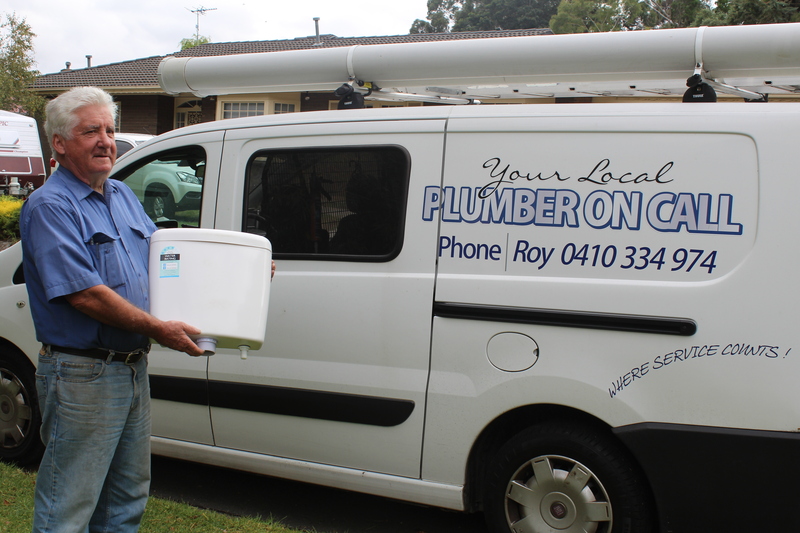 Ask Roy today about the hot water plumbing marion options that he has available to suit your household. Roy Bird Plumbing trading as Plumber on Call deliver a genuine 24 hour 7 day a week service. Does your water looks rusty or has an odor? Does your hot water heater pilot light keep extinguishing? Are you hearing sounds like you need a hot water plumbing Marion to come for your system repair? Do you have a ready supply of warm water? Is the water pressure low? Is your water tank leading? If your answer is yes in any of the above questions, then we suggest you need an experience hot water plumbing Marion to come down to your home and have a look. There’s nothing more trusting for most homeowners than to turn on the shower one morning only to feel cold water shooting out of the valve. If you are worried about whether the next shower you are going to have is a cold one, it’s time to start thinking about calling in the hot water plumber’s experts to help. Remember regular maintenance of your hot water system can prevent future issues. To ensure a steady supply of water you will need to choose the best hot water heating system that will not guarantee utmost functionality but also ensure energy-efficiency and lower energy bills. Hot water plumbing Marion is an expert with over 50 years of excellent experience, when it comes to helping you repair and maintain your hot water systems they can also give you advice on the best brands to get. That is the type of water heater you should get and the most economical type you should install. We also offer a wide supply of hot water replacement parts, and we are able to repair electric, gas and solar hot water heaters. Our hot water plumbing marion experts are very good at choosing and installing a high quality hot water system that is sustainable and cost effective to suit your household needs. Solar heating systems are environmentally friendly and will enable you to save money over time. This is because the cost of operating the unit is lower than that of other systems. However, you will find that you have to spend more initially on purchasing the unit and installing it. A solar system normally has an electric or gas back up so that the hot water stored in the insulated tank does not run out. A gas system is normally cheaper and a good option if you are using a continuous flow system. A gas system is also best if you have natural gas piped in your property. It’s best to speak to our hot water plumbing Marion specialist about this. An electric system is easily available and is normally cheaper and easier to install. The cost of operating the system can be quite high, but you can try to get an off-peak tariff in order to make some savings. You can also decide to use a heat pump to warm your water since it saves a lot of energy and is, therefore, a cheaper option. We are always ready 24/7 to give our customers the maximum satisfaction they desire on time, as we carry along most makes and models of spare parts in our van, immediately you ring us. 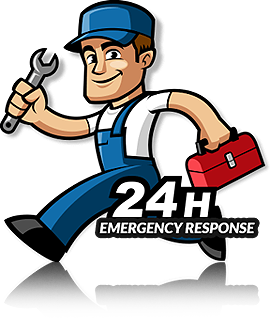 We offer emergency repairs when you need it and ensure that quality job is done according to the approved public safety standards. Get your hot water back in a flash with the most reliable and affordable 24-hour plumbing services of our hot water plumbing Marion expert. Call us anytime at 0410 334 974 when you need us and get your hot water plumbing problem fixed fast or for the installation of hot water systems with quality workmanship guaranteed. Aberfoyle Park hot water plumbing, hot water plumbing services in Ascot Park, Bedford Park hot water plumbing services, Belair, Bellevue Heights hot water plumbing services, Blackwood hot water plumbers, Blewitt 24 hours hot water plumbing, Brighton hot water plumbing services, Brown Hill Creek hot water plumbers on call, Chandlers Hill hot water plumbers, Christie Downs hot water plumbers, Christies Beach, Christies Beach North, Clapham, Clarence Gardens, Clarence Park, Clovelly Park, Colonel Light Gardens 24 hours plumbers, Coromandel East 7 days plumbing services, Coromandel Valley hot water plumbing services, Crafers West hot water plumbers, 24 hrs a week hot water plumbing Craigburn Farm, Cumberland Park 24/7 hot water plumbers, Darlington hot water plumbers, Daw Park hot water plumbing services, Dover Gardens hot water plumbing, Eastwood plumbing, Eden Hills domestic hot water plumbing, Edwardstown blocked drain plumbers, Flagstaff Hill plumbers, Fullarton plumbing services, Glenelg hot water plumbing, Glenelg East blocked drains hot water plumbers, Glenelg Jetty Road hot water plumbing services, Glenelg North domestic hot water plumbers, Glenelg South domestic hot water plumbing services, Goodwood 24/7 hot water plumbing, Hackham 7 days a week hot water plumbers, Hackham West hot water plumbers on call, Hallett Cove hot water plumbing services, Happy Valley plumber on call, Hawthorn 24 hr plumbing, Hawthorndene domestic plumbing services, Highgate hot water plumbers, Hove plumbing, Huntfield Heights hot water plumbing, Hyde Park block drain plumbing, Kangarilla, Kings Park, Kingston Park hot water plumber, Kingswood, Kurralta Park, Lonsdale, Lower Mitcham, Lynton, Macclesfield, Malvern, 24 hr plumbing Marion hot water plumbing, Maslin Beach, Mcharg Creek, Mclaren Flat, Mclaren Vale, Melrose Park hot water plumbing, Millswood, Mitcham, Mitcham Shopping Centre, Mitchell Park, Moana, Morphett Vale, Morphettville, Netherby, Netley, Noarlunga Centre, Noarlunga Downs, North Brighton, North Plympton, O’Halloran Hill, O’Halloran Hill, O’Sullivan Beach, O’Sullivan Beach, Oaklands Park, Old Noarlunga plumbers, Old Reynella, Onkaparinga Hills, Panorama, Park Holme, Parkside, Pasadena hot water plumbers on call, Pedler Creek, Port Noarlunga, Port Noarlunga South, Port Stanvac, Port Willunga, Reynella, Reynella East, Seacliff, Seacliff Park, Seacombe Gardens, Seacombe Heights, Seaford, Seaford Heights, Seaford Meadows, Seaford Rise, Seaview Downs, Sheidow Park, Silver Sands, Somerton Park, South Brighton, Springfield, St Marys, Sturt, Tatachilla, Torrens Park plumber on call, Trott Park, Unley, Unley Bc, Unley Park plumbers, Upper Sturt, Warradale, Warradale North, Wayville, Westbourne Park, Woodcroft block drain plumbing.